Colours: Orange. Features: 100% Pre Shrunk Jersey knit, 200gsm, Seamless double needle 1.90cm collar, Taped neck and shoulders, Double needle sleeve and bottom hems, Quarter-turned to eliminate centre crease. S - 3XL. Materials: 100% Cotton. Sizes: S - 3XL. Colours: Navy. Features: 150 g/m2 (141 g/m2 in White), 100% polyester jersey knit, Seemed Single Needle1.91 cm collar, Heat transfer label, AquaFX Wicking Properties, FreshcareAnti-Microbial Properties, Double needle hemmed 1.59 cm sleeves and bottom hem, Quarter-turned to eliminate centre crease, All Colours S - 3XL. Materials: 100% Polyester. Sizes: S-3XL. Colours: Black. Features: 170 g/m2 Pre-shrunk 100% certified organic soft spun cotton, Fabric 22/1, Tubular construction, Shoulder-to-shoulder tape and seamed collar, Double-needle sleeve and bottom hem, TearAway label, Oeko-Texâ„¢ Standard 100 Certified, Available Sizes: XS-3XL. Materials: 100% Cotton. Sizes: XS-3XL. Colours: Black. Features: 159 g/m2, Pre-shrunk 50% polyester/ 25% combed ring spun cotton/ 25% rayon, Fabric 30/1, Semi-fitted contoured silhouette with side seam and display tape, 1.3 cm rib v-neck collar, Single-needle topstitched front neck, Double-needle dolman sleeve and curved bottom hem, TearAway label, Oeko-Texâ„¢ Standard 100 Certified. Materials: 25% Cotton/50% Polyester 25% Rayon. Sizes: LXS-L2XL. Colours: Black. 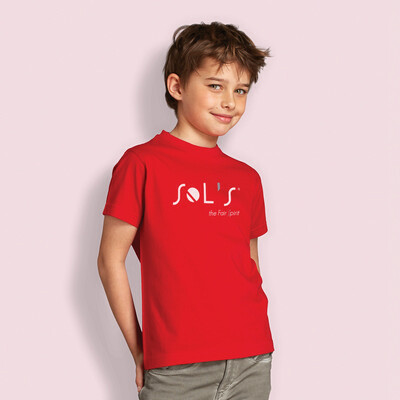 Features: 159 g/m2, Pre-shrunk 50% polyester/ 25% combed ring spun cotton/ 25% rayon, Fabric 30/1, Semi-fitted contoured racerback silhouette with side seam, Bound self-trim neck and armhole, Double-needle curved bottom hem, TearAway label, Oeko-Texâ„¢ Standard 100 Certified . Materials: 25% Cotton/50% Polyester 25% Rayon. Sizes: LXS-L2XL. Colours: black. Features: Waterproof (bonded Fabric) (8000MM), Breathable (1000g), Windproof Outer 320g/m2, Soft Shell 3 layer 8,000mm waterproof bonded fabric, Outer-layer: 93% Polyester, 7% Elastane, Mid-layer: TPU waterproof, breathable & windproof membrane, Inner-layer: Microfleece for extra warmth, Soft high stretch fabric and comfortable active fit, Fashionable shaped longer back panel, YKK full front zip fastening with inner storm flap, 2 Zip closing side pockets, 1 zip closing chest pocket, 2 large inside pockets and 1 inside phone pocket, Adjustable shockcord hem, Decorative front and back yoke, Contains recycled material, Inner storm flap . Materials: softshell. Sizes: S- 2XL. Colours: Navy. Features: Waterproof (bonded Fabric) (8000MM), Breathable (1000g), Windproof Outer 320g/m2, Soft Shell 3 layer 8,000mm waterproof bonded fabric, Outer-layer: 93% Polyester, 7% Elastane, Mid-layer: TPU waterproof, breathable & windproof membrane, Inner-layer: Microfleece for extra warmth, Soft high stretch fabric and comfortable active fit, Fashionable shaped longer back panel, YKK full front zip fastening with inner storm flap, 2 Zip closing side pockets, 1 zip closing chest pocket, 2 large inside pockets and 1 inside phone pocket, Adjustable shockcord hem, Decorative front and back yoke, Contains recycled material, Inner storm flap . Materials: softshell. Sizes: S- 2XL. Colours: Black. Features: Waterproof (bonded Fabric) (8000MM), Breathable (1000g), Windproof Outer 320g/m2, Soft Shell 3 layer 8,000mm waterproof bonded fabric, Outer-layer: 93% Polyester, 7% Elastane, Mid-layer: TPU waterproof, breathable & windproof membrane, Inner-layer: Microfleece for extra warmth, Soft high stretch fabric and comfortable active fit, Fashionable shaped longer back panel, YKK full front zip fastening with inner storm flap, 2 Zip closing side pockets, 1 zip closing chest pocket, 2 large inside pockets and 1 inside phone pocket, Adjustable shockcord hem, Decorative front and back yoke, Contains recycled material, Inner storm flap . Materials: softshell. Sizes: S-5XL. Colours: Navy. Features: Waterproof (bonded Fabric) (8000MM), Breathable (1000g), Windproof Outer 320g/m2, Soft Shell 3 layer 8,000mm waterproof bonded fabric, Outer-layer: 93% Polyester, 7% Elastane, Mid-layer: TPU waterproof, breathable & windproof membrane, Inner-layer: Microfleece for extra warmth, Soft high stretch fabric and comfortable active fit, Fashionable shaped longer back panel, YKK full front zip fastening with inner storm flap, 2 Zip closing side pockets, 1 zip closing chest pocket, 2 large inside pockets and 1 inside phone pocket, Adjustable shockcord hem, Decorative front and back yoke, Contains recycled material, Inner storm flap . Materials: softshell. Sizes: S-5XL. Colours: Black. Features: Water repellent-Breathable-Windproof, 3 Layer Waterproof Bonded Fabric, 290/m2 Polyester, Oute: 93% Polyester 7% Elastane, Mid: TPU 5000mm waterproof 1000mvp breathable & windproof membrane, Inner: Microfleece for extra warmth, 4 Way super stretch, Wind stop inner zip flap, Zip throught neck, Two zip closing side pockets, Grey fleece lining across all colours. S - 3XL. Materials: 93/7 Poly/Elastine. Sizes: S - 3XL. High performance singlet with quick-drying, sweat-wicking technology. Part of the Matchpace team set (but of course available individually too). 100% polyester performance fabric. Quick-drying. Breathable. Sweat-wicking technology. Anti-snag outer. Mesh against skin for comfort. Sizing: XS-3XL, 5XL. Colours: Black-Gold, Black-Red, Black-White, Navy-Gold, Navy-Red, Navy-White. 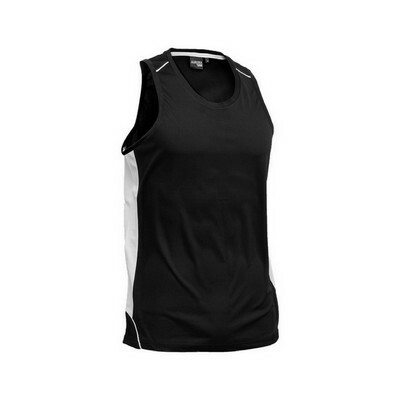 High performance singlet with quick-drying, sweat-wicking technology. Part of the Matchpace team set (but of course available individually too). 100% polyester performance fabric. Quick-drying. Breathable. Sweat-wicking technology. Anti-snag outer. Mesh against skin for comfort. Sizing: 6-14. Colours: Black-Gold, Black-Red, Black-White, Navy-Gold, Navy-Red, Navy-White. One cool performer. 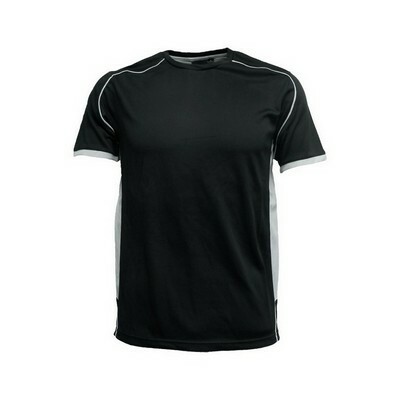 Breathable, sweat-wicking and quick drying. Part of the Matchpace team set (but of course available individually too). 100% polyester performance fabric. Quick-drying. Breathable. Sweat-wicking technology. Anti-snag outer. Mesh against skin for comfort. Sizing: XS-3XL, 5XL. Colours: Black-Gold, Black-Red, Black-White, Navy-Gold, Navy-Red, Navy-White. One cool performer. Breathable, sweat-wicking and quick drying. Part of the Matchpace team set (but of course available individually too). 100% polyester performance fabric. Quick-drying. Breathable. Sweat-wicking technology. Anti-snag outer. Mesh against skin for comfort. Sizing: 6-14. Colours: Black-Gold, Black-Red, Black-White, Navy-Gold, Navy-Red, Navy-White. Features: UPF Compliant, UPF Sun Protection. The 100% Cotton, 100% quality tee. A classic tee is everyone's go-to essential for casual comfort. Soft to touch and great to wear, this versatile tee is constructed for comfort and quality. JB's Shape Staying elastane rib crew neck, 100% Cotton for 100% comfort, marle colours are Cotton/Viscose blend, Self-fabric tape on inside neck and shoulders for improved stability, Heavy 190gsm ring spun Jersey knit fabric, Twin needle double stitched seams, Complies with Standard AS/NZS 4399: 1996 for UPF Protection, Vertical side seams minimise twist in the tee's body, 7XL only in White, Black, Navy and Bottle. Colours: Aqua, Kelly Green, Red, Sky Blue, Lime, Bottle, 13% Marle, Chocolate, Bone, Lt Blue, Maroon, Navy, Orange, Purple, Steel, Royal, Snow Marle, Ochre, Yellow, Gold, Hot Pink. Sizes: S, M, L, XL, 2XL, 3XL, 4XL, 5XL, 7XL. Features: UPF Compliant, UPF Sun Protection. The 100% Cotton, 100% quality tee. A classic tee is everyone's go-to essential for casual comfort. Soft to touch and great to wear, this versatile tee is constructed for comfort and quality. JB's Shape Staying elastane rib crew neck, 100% Cotton for 100% comfort, marle colours are Cotton/Viscose blend, Self-fabric tape on inside neck and shoulders for improved stability, Heavy 190gsm ring spun Jersey knit fabric, Twin needle double stitched seams, Complies with Standard AS/NZS 4399: 1996 for UPF Protection, Vertical side seams minimise twist in the tee's body, 7XL only in White, Black, Navy and Bottle. Colours: Black. Sizes: S, M, L, XL, 2XL, 3XL, 4XL, 5XL, 7XL. Features: UPF Compliant, UPF Sun Protection. The 100% Cotton, 100% quality tee. A classic tee is everyone's go-to essential for casual comfort. Soft to touch and great to wear, this versatile tee is constructed for comfort and quality. JB's Shape Staying elastane rib crew neck, 100% Cotton for 100% comfort, marle colours are Cotton/Viscose blend, Self-fabric tape on inside neck and shoulders for improved stability, Heavy 190gsm ring spun Jersey knit fabric, Twin needle double stitched seams, Complies with Standard AS/NZS 4399: 1996 for UPF Protection, Vertical side seams minimise twist in the tee's body, 7XL only in White, Black, Navy and Bottle. Colours: White. Sizes: S, M, L, XL, 2XL, 3XL, 4XL, 5XL, 7XL. Features: UPF Compliant, UPF Sun Protection. Relaxing ringer tee. A crowd favourite, our urban fit ringer tee is named for the contrast colour that rings the sleeve cuff and neck rib. 100% Cotton for 100% comfort, marle colour is cotton/viscose blend, Heavy 190gsm ring spun Jersey knit fabric, JB's Shape Staying elastane rib neck, Complies with Standard AS/NZS 4399: 1996 for UPF Protection. Colours: Navy/White. Sizes: S, M, L, XL, 2XL, 3XL. Features: UPF Compliant, UPF Sun Protection. The 100% Cotton, 100% quality tee. A classic tee is everyone's go-to essential for casual comfort. Soft to touch and great to wear, this versatile tee is constructed for comfort and quality. JB's Shape Staying elastane rib crew neck, 100% Cotton for 100% comfort, marle colours are Cotton/Viscose blend, Self-fabric tape on inside neck and shoulders for improved stability, Heavy 190gsm ring spun Jersey knit fabric, Twin needle double stitched seams, Complies with Standard AS/NZS 4399: 1996 for UPF Protection, Vertical side seams minimise twist in the tee's body. Colours: Aqua, Lime, Kelly Green, Black, Red, Sky Blue, Bottle, 13% Marle, Soft Pink, Light Blue, Maroon, Navy, Orange, Purple, Royal, Yellow, Gold, Hot Pink. Sizes: 2, 4, 6, 8, 10, 12, 14. Features: UPF Compliant, UPF Sun Protection. The 100% Cotton, 100% quality tee. A classic tee is everyone's go-to essential for casual comfort. 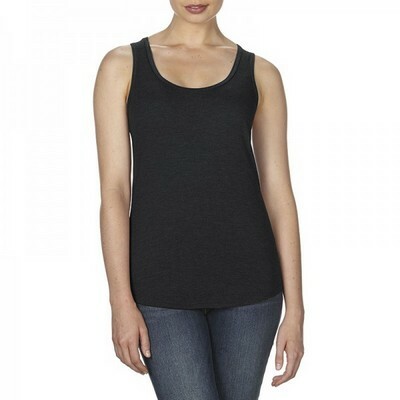 Soft to touch and great to wear, this versatile tee is constructed for comfort and quality. JB's Shape Staying elastane rib crew neck, 100% Cotton for 100% comfort, marle colours are Cotton/Viscose blend, Self-fabric tape on inside neck and shoulders for improved stability, Heavy 190gsm ring spun Jersey knit fabric, Twin needle double stitched seams, Complies with Standard AS/NZS 4399: 1996 for UPF Protection, Vertical side seams minimise twist in the tee's body. Colours: White. Sizes: 2, 4, 6, 8, 10, 12, 14. Features: UPF Compliant, UPF Sun Protection. The classic comfort tee. Traditional styling and a classic fit make this the perfect tee for relaxed comfort. 100% Cotton for 100% comfort, 190gsm ring spun Jersey knit fabric, JB's Shape Staying elastane crew neck, Complies with Standard AS/NZS 4399: 1996 for UPF Protection. Colours: Black, White. Sizes: 8, 10, 12, 14, 16, 18, 20. Features: UPF Compliant, UPF Sun Protection. A colour to fit you. Make every day feel like summer with this vibrant, colourful tee, cut to an urban fit for easy-to-style comfort. 100% Cotton for 100% comfort, marle colours are Cotton/Viscose Blend, 165gsm ring spun Jersey knit fabric, JB's Shape Staying elastane rib crew neck, Vertical side seams minimise twist in the tee's body, Complies with A/NZS 4399: 1996 for UPF Protection. Colours: White. Sizes: 8, 10, 12, 14, 16, 18, 20. Features: UPF Compliant, UPF Sun Protection. A colour to fit you. Make every day feel like summer with this vibrant, colourful tee, cut to an urban fit for easy-to-style comfort. 100% Cotton for 100% comfort, marle colours are Cotton/Viscose Blend, 165gsm ring spun Jersey knit fabric, JB's Shape Staying elastane rib crew neck, Vertical side seams minimise twist in the tee's body, Complies with A/NZS 4399: 1996 for UPF Protection. Colours: Kelly Green, Black, Red, 13% Marle, Pink, Navy, Purple, Royal, Hot Pink, Aqua. Sizes: 8, 10, 12, 14, 16, 18, 20. Slim Fit Styling. 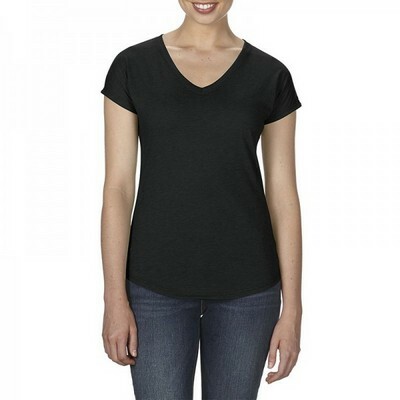 Perfect for work or casual comfort, this basic tee is enhanced by slim fit styling. 60% Cotton for comfort, 40% Polyester for durability, 190gsm rib knit fabric. Colours: Black. Sizes: 8, 10, 12, 14, 16, 18. Cinch to style. 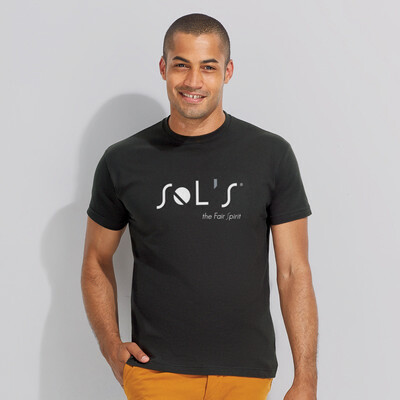 A classic minimalist design makes this slim fit tee a cinch to style. 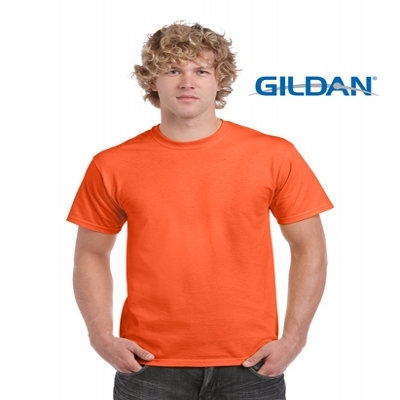 65% Polyester for durability, and 35% Cotton for comfort, 270gsm rib knit fabric. Colours: Black. Sizes: 8, 10, 12, 14, 16, 18. Features: UPF Compliant, UPF Sun Protection. The 100% Cotton, 100% quality tee. A classic tee is everyone's go-to essential for casual comfort. Soft to touch and great to wear, this versatile tee is constructed for comfort and quality. JB's Shape Staying elastane rib crew neck, 100% Cotton for 100% comfort, marle colours are Cotton/Viscose blend, Self-fabric tape on inside neck and shoulders for improved stability, Heavy 190gsm ring spun Jersey knit fabric, Twin needle double stitched seams, Complies with Standard AS/NZS 4399: 1996 for UPF Protection, Vertical side seams minimise twist in the tee's body, Ribbed sleeve cuffs. Colours: Black, Navy, Snow Marle. Sizes: 12, 14.